Back in 2012 I was in my fifties, had high blood pressure, high cholesterol, bordering on diabetes and was five stone overweight; weighing in at 17 stone. I live in Cardiff Bay and at that time I thought nothing of catching the train from the Bay up to town to save me walking. I work as a minister of religion and when I went to visit parishioners they would offer me tea and cake to be sociable. I always accepted the cake (often a double helping!) and a cup of tea with two sugars. The weight kept on piling on and I often thought that it was odd how the clothes shops changing rooms were getting smaller; not me getting bigger! I went to the doctors for a routine appointment and the doctor turned to me and said “you do realise you are obese don’t you?” and to be honest I didn’t until I heard the words come out of his mouth (looking back it is hard to believe that I didn’t realise I was so unfit and unhealthy). I joined the local Weight Watchers group in Grangetown and learnt how to eat smaller quantities of food, choosing the healthy option and I started walking. Then I started jogging around Cardiff Bay and decided to set myself a challenge to do the Cardiff half marathon. I started to go to Grangemoor parkrun as part of my training. Once I had completed my first half marathon in Cardiff with a time of 2:45 I had well and truly got the running bug. I wanted to join a club to motivate me to train and improve. I was very nervous going to the first CDF session but everyone was really friendly, welcoming and sociable. At the first session I ran with Steph Ferry and she gave me confidence and encouraged me to set a good pace. Welcoming new people and being an inclusive club makes CDF something special. Since then I have done a total of 11 half marathons, raised nearly £5,000 for charity and finally got an elusive sub 2 hour time. 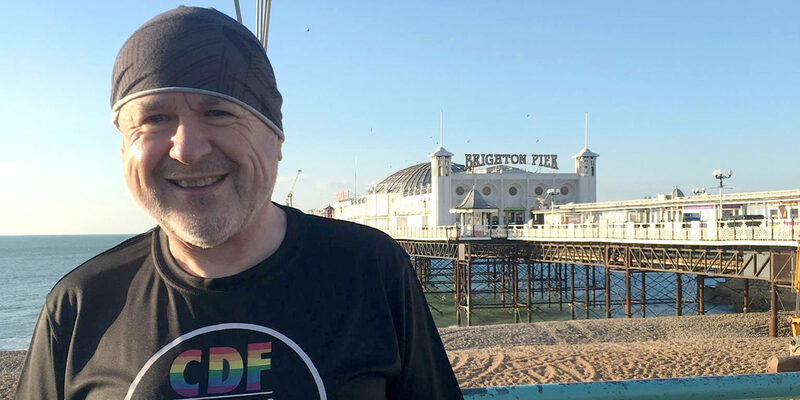 I always wear my CDF t-shirt at events to represent the club and I post a picture at the start of the race to the Facebook group; it’s great to see all of the positive comments from other club members when I finish the race. 1Last year I did the London marathon; which was a real step up from a half, but a wonderful experience. I’ve now signed up for the New York marathon in November.  I keep up with the CDF news from the facebook group and try to train with them as much as possible. It’s great to see how people improve week on week and I have made many friends both in Grangemoor Parkrun and CDF.